We at Holla Airport Taxis Coventry will be glad to dispatch a driver to meet you at the airport upon your arrival to drive you back in a taxi to areas of Warwickshire such as; Coventry, Warwick, Knowle, Stoneliegh, Baginton, Barford, Cubbington, Lowsonford, Wroxall, Kingswood, Offchurch, Shrewley, Sherbourne, Stareton, Haseley, Hunningham, Old milverton, Norton lindsey, Wasperton, Stratford upon avon, Leamington spa, Kenilworth, Rugby. Why not choose one of our taxis from Rugby to Luton airport or Stansted airport or Coventry to Liverpool John Lennon Airport or Heathrow/Gatwick airport. We specialise in Executive Airport Taxis to and from Coventry and Airport Chauffeur service to and from Coventry, Warwick, Kenilworth, Bedworth, Nuneaton, Solihull, Rugby, Leamington spa. Our hand picked drivers ar professional and have vasts amount of knowledge of the whole of the UK. Let us pick you up from your home address or work place and drive you in comfort and style to the Heathrow Airport, Gatwick Airport or to a destination of your choice. Out Coventry Executive Taxis are tailored for Corporate & Business meeting wether you are in JLR Whitley Coventry or you require a Coventry Executive Taxi to drive you to Heathrow London for that all important Meeting. Booking a Coventry to Gatwick Taxi with a Driver that will be more than happy to arrive on time for your special journey to the airport or for a Full day tour. If you would like to Travel and look around the London City Central tourists sights. Taxi Business Account for the Coventry Area. To open a Taxi Business Account all you need to do is send us an email at info@hollataxi.com with your requirements. Around the clock Taxi Service available 24 hours a day. If you are looking for Airport Taxis Coventry and you are a student or tourist or a UK resident. Landing at Heathrow, Gatwick LGW, Stansted STN, Birmingham BHX, Manchester MAN airports. Travelling during any part of the year can be a hassle. It can be a worse experience if you are also jetlagged. However, With Holla Airport Taxis being the biggest & best for Airport Taxis Coventry to; Warwick, Leamington spa, Stratford upon avon, Balsall common, Meridan, Rugby, Bedworth, Nuneaton, Kenilworth, Wellesbourne. you can rely on us to be waiting at the arrivals airport terminal to get you home on time. Wellesbourne is located in Warwickshire & West Midlands. According to the Mid-2013 population estimates; Warwickshire’s population now stands at an estimated 548,729 people. North Warwickshire population is 62,200. Nuneaton & Bedworth population is 125,805. The population of Rugby is 100,751. Stratford upon avon population is 120,578. Warwick population is 138,640. 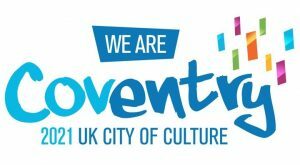 Coventry is the 21st or 22nd biggest district in the UK for its population and it is also the second largest city in the Midlands is Birmingham being nearby with a population of 317,987. You can choose to fill in our Airport Taxis Coventry Transfers quote form on our website & Holla taxi app, or you just call us direct via your smartphone to book in your Airport Taxis Coventry. Whatever area of Warwickshire you may live in. We at holla taxis & Airport transfers take on Coventry Airport Taxis quotes, Leamington spa Airport Taxis Quotes, Warwick Airport Taxis quotes, Kenilworth airport taxi quotes, Stratford upon avon Airport Taxis quotes, Wellesbourne airport taxi quotes, Rugby Airport Taxis quotes, Leicester Taxis. We cover all long distance Taxi journeys leaving from Coventry to all airports and beach trips. No journey is too long or short. If you want to go as far as Wales, Exeter, London, Portsmouth, Bournemouth, then we have this covered. We also cover all other major towns and cities in the UK. Aswell as Airport Taxis Coventry by Holla taxi is the another option for the people of Warwickshire to get around the UK. Warwick to Heathrow Taxi, Kenilworth to Heathrow airport Taxi, or just need us to hire a car and driver to drive you to see your family members who live in another city or town. Rest assured Holla Taxi will meet your travel & transportation needs. We offer Services for a very professional and reliable Airport Taxis Coventry service. We cover, Airports, Seaports, Cruise ports, beach trips and any Long Distance Journey. We specialise in Taxi Coventry to London and return. We monitor flights and also offer free child/baby car seats. In addition, to transporting passengers we also offer a taxi courier service for urgent document to anywhere in the UK. Our Airport Taxi Transfers are unique, efficient and reliable. Our Coventry taxi drivers are always available to take you from straford upon avon to Heathrow airport or to Gatwick airport. Or if you would like a return pick up from Heathrow airport or Manchester airport or Gatwick airport back home to Stratford upon avon or Wellesbourne aswell as to other local nearby towns or villages.We are happy to accomodate your Airport transfer enquiries. Find out more information on the areas we cover. We have vehicles to meet all your booking requirements. Our fleet includes, executive cars, saloon cars, MPV, 6,7,8 seater and minibuses. Some of the vehicle we have include, VW Passat, Mercedes Vito, Mercedes Viano VW Sharan, Ford Mondeo, Peugeot. All our long distance vehicles are clean and air conditioned and GPS equipped. For even larger vehicles please call us for a Airport Taxis Coventry quote. Our Airport Taxi Transfers come in many shapes & sizes. All our airport taxis are always clean, nearly new & reliable. All of our vehicles are fully licensed with the local councils & are fully inspected on a regular basis to ensure peace of mind and safety for all of our potential customers. All vehicles are available 24 hours aday 7 days a week 365 days a year. ADVANCE BOOKINGS ONLY. All our drivers from Airport Taxis Coventry are professional and courteous. All our drivers are fully licenced and CRB checked. All drivers are very experienced and have vast knowledge of the UK roads. Our expert drivers are fully qualified and have met every part of the licensing criteria. To ensure safety & reliability for all of our customers. Our drivers have extensive knowledge of the Coventry area aswell as picking up pre booked airport taxi passengers from stratford upon avon to Heathrow airport or to Gatwick airport. Why not book Airport Taxi Transfers from; Coventry, Crick, Lutterworth, Kineton, henly in arden, nuneaton, hinckley, rugby, burbage, leamington spa, stratford upon avon, daventry, dorridge, southam, dunchurch, honiley, burton green, balsall common, berkswell, meridan, fillongley, ash green, bedworth, wolvey, bulkington, princethorpe, burton on dunsmore, weston under wetherley, hunningham, blackdown, long itchington, stockton, ladbroke, gaydon, budbrooke, sherbourne, hatton, harbury, leek wooton, hill wooton, meer end, rowington, pinley green, wroxall, knowle, preston bagot, lapworth. We provide Hotel Transfers in Coventry Warwickshire including. Below are some that we cover. Why Book With Holla ? Coventry Holla Airport Taxis & transfers is a private hire airport taxi company that gets you from Warwickshire to any UK airport with just a few clicks. Are All Drivers Licensed ? Yes all of of our Airport Transfers drivers are fully vetted with fully licensed vehicles with vast amounts of road knowledge in your area. Our Vehicles range from 4 seater saloon cars, 5 and 6 seater mpv large Minibus Taxis, 7 seater people carrier Taxis. All vehicles are fully licensed. Which Airports do you cover from Coventry? We provide Airport taxis from Coventry to; Heathrow airport, Gatwick airport, Manchester airport, Stansted airport, East midlands airport, Bristol airport, Cardiff airport, Birmingham airport, Luton airport.